For the first time ever in W-League history, every match in the 2018/19 season is being broadcasted. Fox Sports has the full broadcast rights to 30 W-League matches with SBS simulcasting 16 matches of these on the SBS Viceland Channel including both the semi-finals and the grand final. All other matches are streamed on the My Football App. All of the Matildas’ internationals in Australia and the majority of overseas Matildas internationals are broadcasted on Fox Sports, SBS and streamed on the My Football App. In the new AFLW broadcast deal, every AFLW match, including the grand final, is broadcasted live on Fox Footy. In 2019, two matches per round will be broadcasted live on the Seven Network with it upping to three matches per round in 2020. Every final is broadcasted live on Channel Seven. All non-Victorian matches will be simulcasted to their respective states on the Seven Network. All matches are streamed live and free on AFL.com.au. Fox Sports regained the WNBL in 2017 meaning that the WNBL returned to TV. One match per round, including the semi-finals and the grand final, are broadcasted on Fox Sports with SBS simulcasting 14/15 matches per season. All Australian Opals matches are broadcasted live on Fox Sports along with women’s international tournaments. The Seven Network have the rights to broadcasting 23 WBBL matches per season, including both semi-finals and the final live. Fox Cricket simulcasts these matches. The Cricket Network streams all other matches live and free via Cricket.com.au, the Cricket Network and WBBL Facebook page. Selected matches in the WNCL are broadcasted on The Cricket Network. All Australian Women’s Internationals in Australia are broadcasted live and free on the Seven Network with Fox Cricket simulcasting these matches. Selected overseas matches are also broadcasted on Fox Cricket. Every match of ICC women’s events are broadcasted live on Fox Cricket with Australian matches being broadcasted live and free on the Nine Network. Two games of Suncorp Super Netball are broadcasted live on Nine per round with the additional two games broadcasted on delay on Nine. Every SSN match is broadcasted live on Telstra TV. 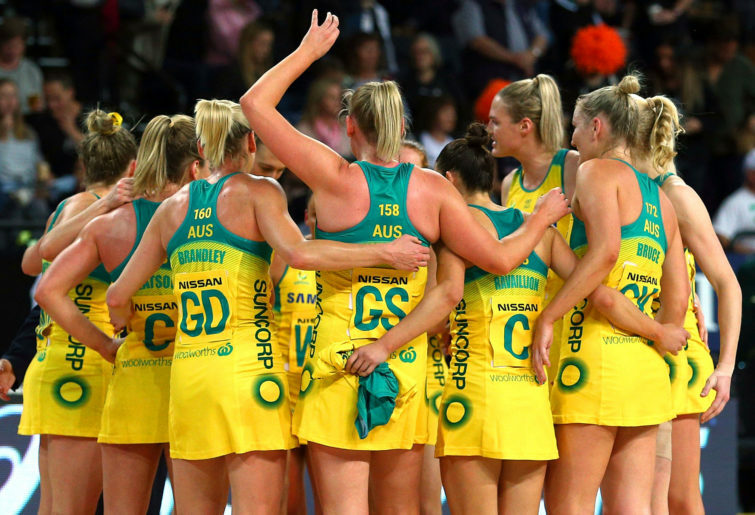 Every Diamonds international and every Netball World Cup and Fast 5 World Series match is also broadcasted on the Nine Network. Every match of the NRL Women’s Competition including the Grand Final is broadcasted live on Fox League and the Nine Network. All Women’s State of Origin matches, NRL Women’s All Star matches and all Jillaroos matches are also broadcasted on Fox League and the Nine Network. Every match of the Super W Competition is broadcasted live on Fox Sports with selected Australian women’s internationals also broadcasted on Fox Sports. The majority of coverage has been improved for women’s sport, but women’s cricket does deserve additional coverage. WNCL matches should be broadcasted on national television and with the WBBL moving to a standalone slot next summer, I would like to see all games broadcasted on Fox Cricket with the 23 games currently remaining on Channel Seven. Super W should also be broadcasted on free-to-air television in an attempt to boost women’s rugby union.